For all the overtures of war that the anthropomorphic deities of American Gods have made toward one another since the first season, the actual number of deaths (Laura’s notwithstanding) on both sides of the conflict have been fairly minimal. Sure, Jesus died on screen, but he’s a Jesus—one of many. Coming back from the dead is their whole thing. Vulcan, a reimagined god of firearms—who never appeared in Gaiman’s original novel—also bit the bullet in American Gods’ first season, but the character’s death lacked any real weight to it because we never got a chance to know him. 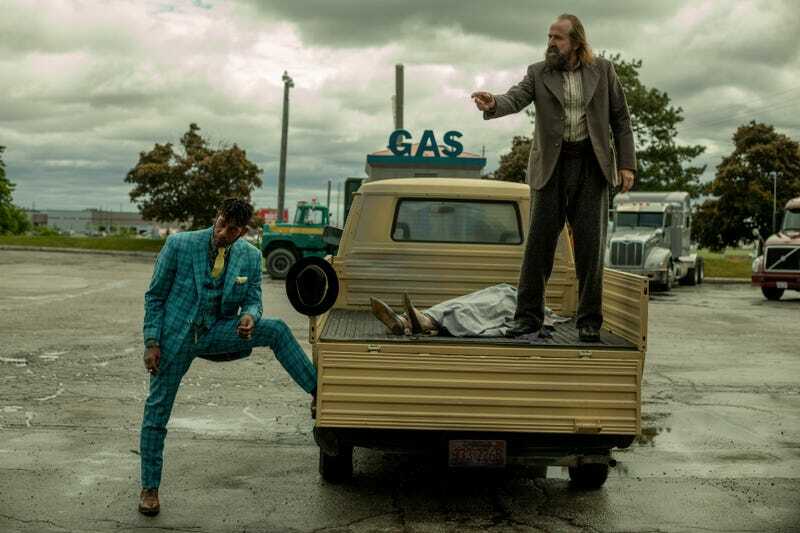 With this week’s “The Beguiling Man,” though, American Gods has its first casualty that makes you believe in the stakes both Mr. Wednesday and Mr. World’s teams are up against, and in doing so, the episode gives each of its characters renewed motivations. “The Beguiling Man” puts a definitive end to the life of Cloris Leachman’s delightfully sardonic Zorya Vechernyaya, the eldest of the trio of Slavic goddesses who’d aligned themselves with Wednesday in his crusade against the New Gods. 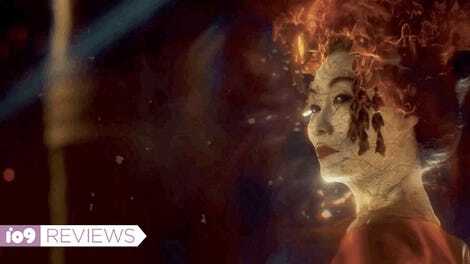 With Zorya’s death, American Gods sets up an important bit of mythos from Gaiman’s novel that the show hadn’t yet established—mythos that’s key to understanding why the gods are fighting. In the most ideal circumstances, the death of a god’s physical form would only mean that that particular incarnation “died,” while a new version of the deity would take their place soon after. The key to this process starting is the god in question being empowered enough by the belief of their followers. If, like Zorya, the god is on the decline and lacking in the way of faithful believers, there’s simply no way for them to return, and they’ve effectively died for real. As an enraged Czernobog, another Slavic god, explains this to the assembly of old gods, you understand why he, in particular, would feel the devastation of Zorya’s death—both because she was his friend and her demise is a reminder that he’s just as vulnerable. It’s interesting to note, depending on how you look at things, how most all of the other old gods Wednesday’s gathered, while waning in power compared to the new gods, are not without their own very firmly established followings in America. American Gods has established that while pure sacrifice is what energizes the gods most, they also thrive on attention, devotion, and worship that can take on a variety of forms. While there are over one billion Hindus worldwide, the American Hindu population is relatively small at about 1.5 million, meaning that Mama-Ji (Sakina Jaffrey), an incarnation of the Hindu goddess Kali, exists, but is nowhere near as strong as her counterpart living in the Indian subcontinent. There’s enough public and pop cultural understanding of mythic figures like Anansi, leprechauns, and the Norse gods in America that Mr. Nancy, Mad Sweeney, and Wednesday’s presences all make sense, but again, you can’t help but wonder how tenuous their abilities to feed on that belief are. As interesting as that all is, none of the gods stick around to discuss much of it, because there’s work to be done. With a lovestruck Salim by his side (in a sidecar no less! ), the Jinn sets off on a mission to track down Wednesday’s legendary spear Gungnir. Wednesday and Nancy drive off to catch a train and Sweeney and Laura make their way to find Shadow, who’s been abducted by Mr. Town (Dean Winters). Splitting its characters up is a smart move for “The Beguiling Man” as an individual episode, as it pairs up the show’s characters in ways that bring out new bits and pieces of their relationships and who they are. At the same time, though, it feels very much like a stayed, predictable move that’s at odds with the frenetic wildness that defined so much of the freshman season. You might see this as American Gods settling down into familiar TV territory, which could end up either working to the show’s benefit or its detriment down the line. Shadow being tortured by Mr. Town. The episode regains some of American Gods’ narrative splendor in the moments it spends with the captured Shadow as he’s being interrogated by Mr. Town, a data-collecting extension of Mr. World. While the handful of Crispin Glover’s lines so far this season have done an adequate job of conveying how legitimately frightened Mr. World is of Wednesday, it’s in Mr. Town that you can see World’s fear transformed into determination. Whatever Wednesday’s planning, it involves Shadow, and Shadow may be the key to Wednesday’s undoing. But as Town’s torturing Shadow, what we begin to see is that Shadow, though not an amnesiac, is something of a mystery to himself as much as he is to the audience. Through flashbacks, we see Shadow grew up traveling the world with his free-spirited mother, who refused to speak of his father, and only brought him to America when he was well into his teen years. Despite having seen so much, there’s a smallness to Shadow’s world that makes his arrival in the U.S. a jarring one—something which makes him have to confront the realities of how race and blackness operate differently in America, even though Shadow’s the same person he’s always been. In nearly everything about Shadow’s scenes in this episode—from the way he’s being tortured in the present, to the way his mother insists that she can see a shining light within him that no one will ever understand—“The Beguiling Man” is building toward something bigger and fascinating for American Gods. But it feels unclear as to how (and whether) the show’s going to be able to bring that same kind of careful, deft storytelling touch to the rest of the season in an expanded way.